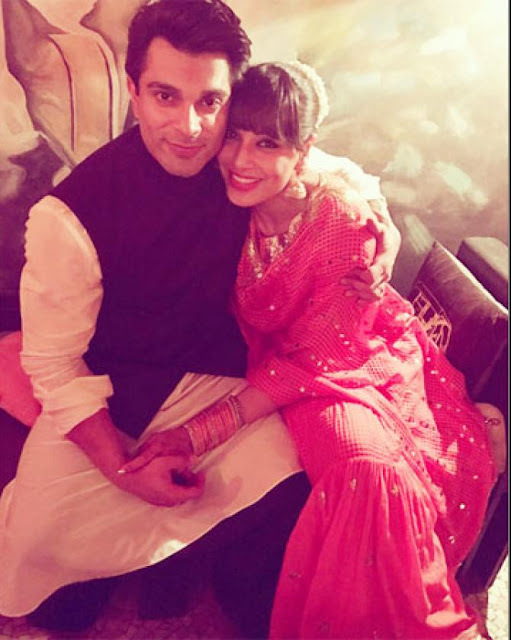 If you too are celebrating your first Diwali as husband and wife and need some style inspiration, have a look at what your favourite couples wore for their first Diwali post-wedding. The first Diwali celebration of this couple after their wedding was a grand affair. They celebrated this special day with their near and dear ones. We saw Bipasha in a totally different avatar. With fringes and gajra in her hair, she looked like a desi doll. While the Mrs wore a traditional sharara, the Mr complemented her with a monochrome traditional attire. Divyanka and Vivek welcomed their first Diwali post-marriage with their friends. 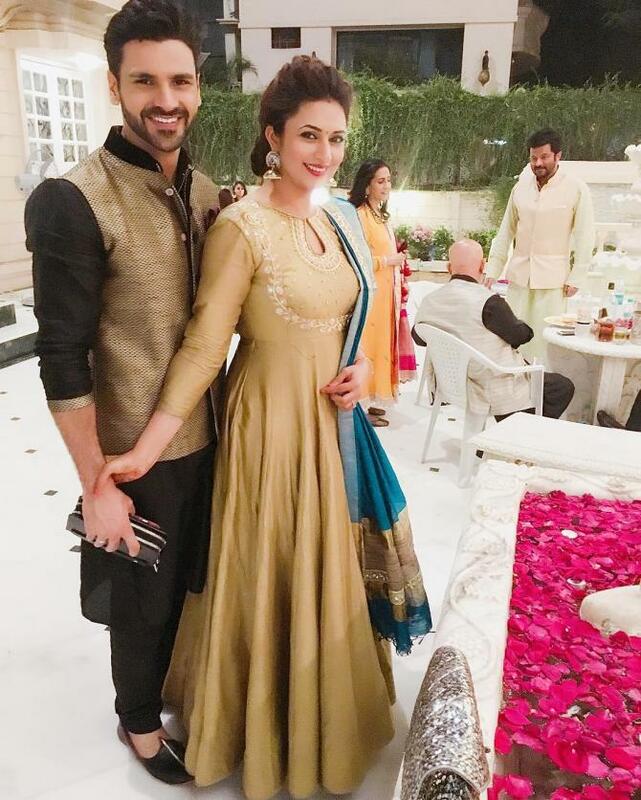 Divyanka wore a beautiful golden floor-length anarkali and Vivek donned a black kurta with a golden bandhgala jacket. Divyanka chose to do a bun with it. 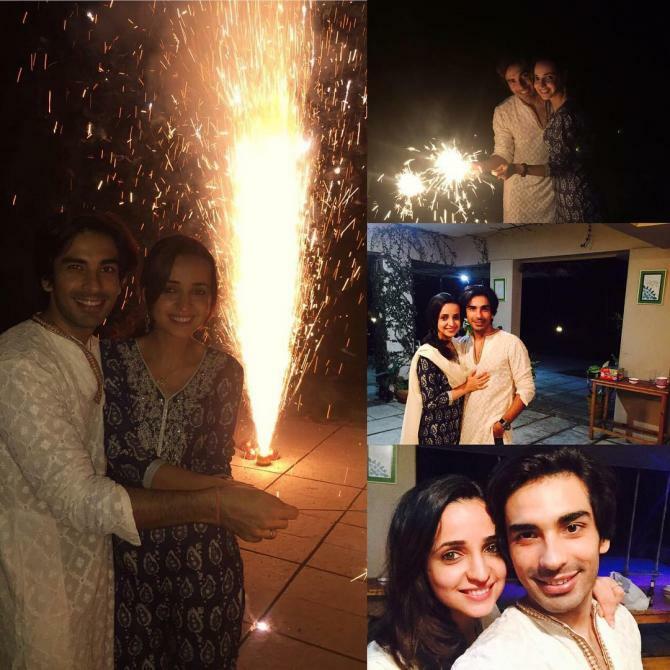 Sanaya Irani and Mohit Sehgal make the cutest couple of the silver screen. Every time you will look at them, they will remind you of the teenage romance. This bubbly couple had an amazing destination wedding in 2016. Their fairytale wedding gave us major goals. They enjoyed their first Diwali as a married couple in a traditional way and with utmost simplicity. Sanaya wore a black suit and Mohit looked handsome in a cream-coloured kurta. 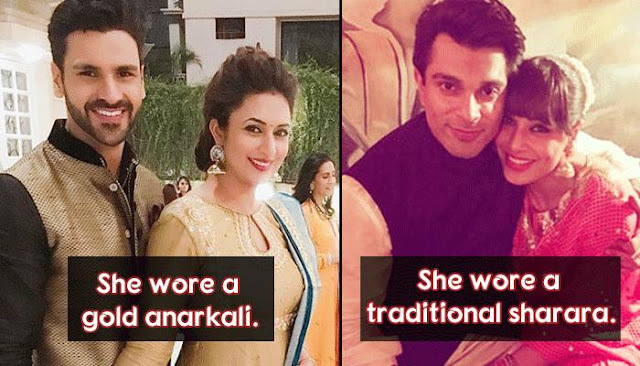 For their first Diwali as a couple, Ankita and Karan decided to go all traditional. Ankita wore a beautiful white anarkali suit and made its colour come out with the help of an emerald necklace. 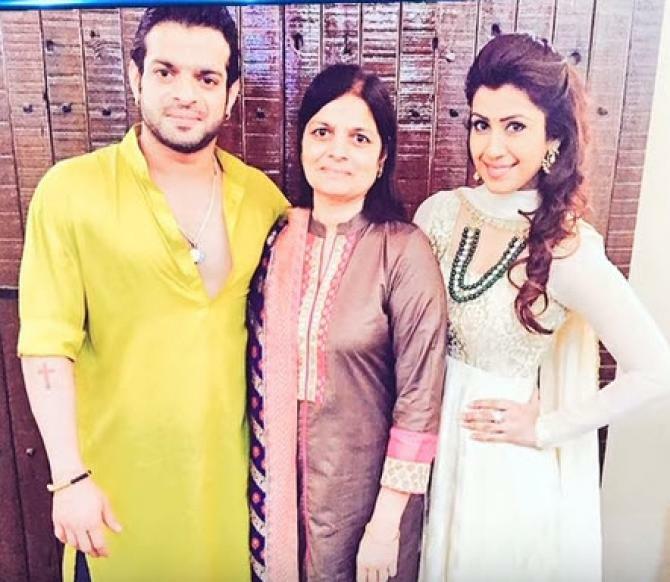 Karan looked handsome in his yellow-coloured kurta. Shahid and Mira have always impressed us with their impeccable fashion sense. They like to keep it simple and stylish. This is what they did for their first Diwali celebration as a married couple. Mira wore a beautiful mint coloured saree with strappy heels while Shahid wore a black kurta with a white pyjama for Anil Kapoor's Diwali party.